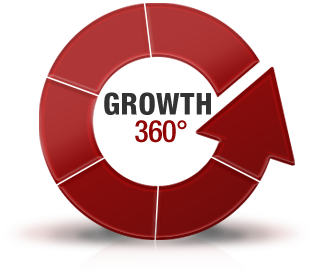 Analytical skills are very important in facilitating a 360° vantage point. Critical thinking allows you to ensure that all key data, viewpoints, inputs, and considerations are being taken into account. These skills are also extremely important when putting together the actual plans to achieve growth. Without the rigorous thinking and the discipline to work through all aspects of an implementation plan, it does not matter how strong the original idea was, it will not succeed. Click thumbnail images below to learn more.